I'm a little behind this year on my valentine cards but I still wanted to share what I've been up to. 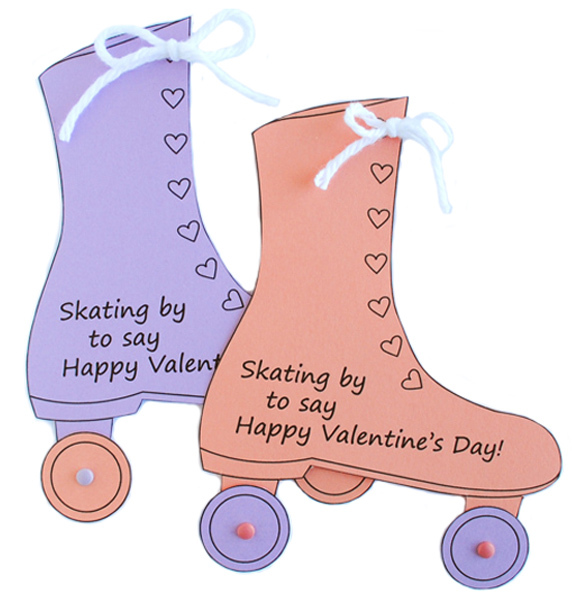 The inspiration for the cards came from my daughter's new hobby, roller skating! It also might have something to do with my childhood rollerskating memories. I spent many weekends at the rink. Just thinking about it makes me want to put on a pair of skates and roll to Celebration by Kool & The Gang. 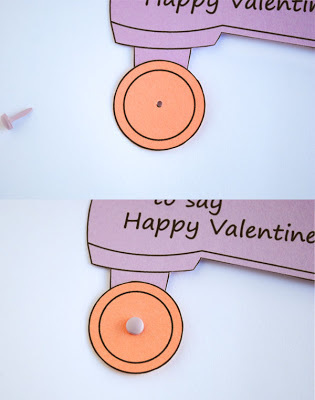 These valentines are pretty easy to make. 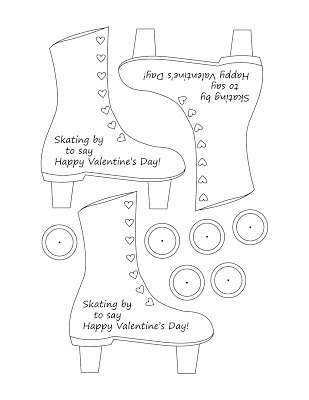 What will take the most time is the cutting out the shapes. So do a little hand stretches before you begin. 1. Click on this image twice. Right click, copy, save, paste in Word or any other program you use. 2. Print on two different colored pieces of card stock. 3. Cut out all shapes. 4. Place one wheel over bottom part of roller skate. Punch hole (refer to top picture). 5. Place brad through both holes. Repeat for second wheel. 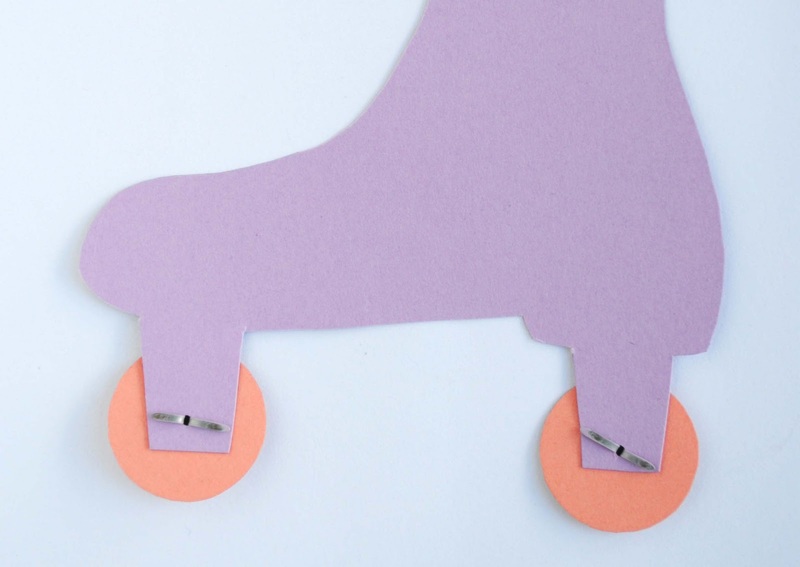 This is what the back of your roller skate will look like. 6. Punch a hole in the top heart. 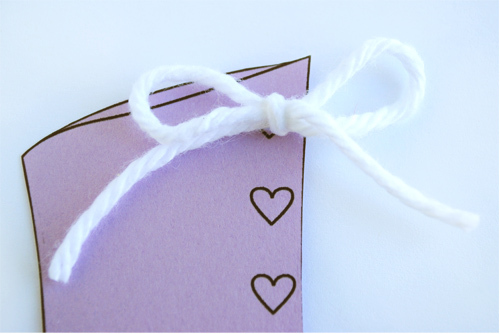 Thread the yarn through the hole and cut into a bow. 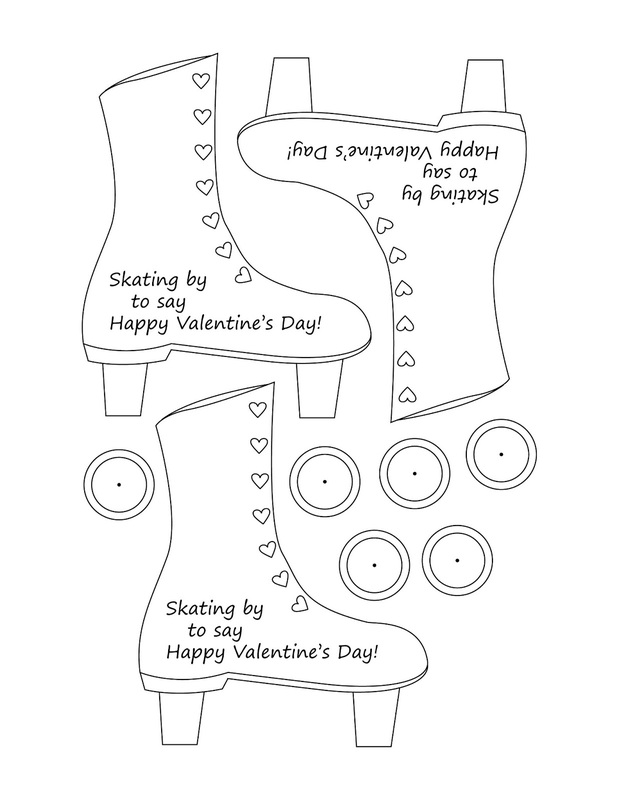 *Other ideas: print out on white card stock for coloring. Add stickers. Use heart brads instead of circles. And now if you would excuse me, I have lots and lots of cutting to do. 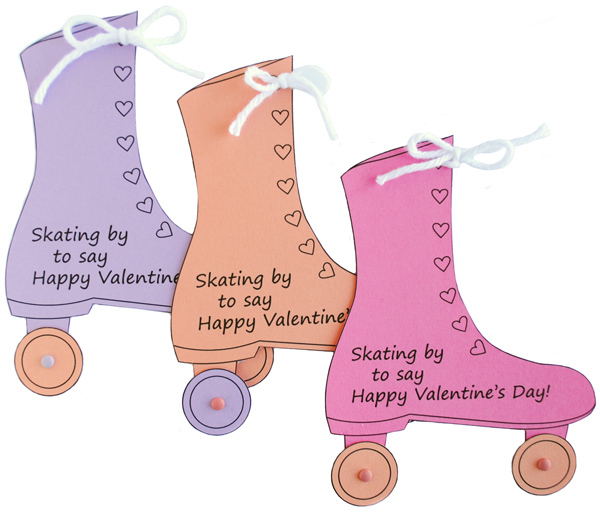 See the three skates pictured above? That's all I've made so far. 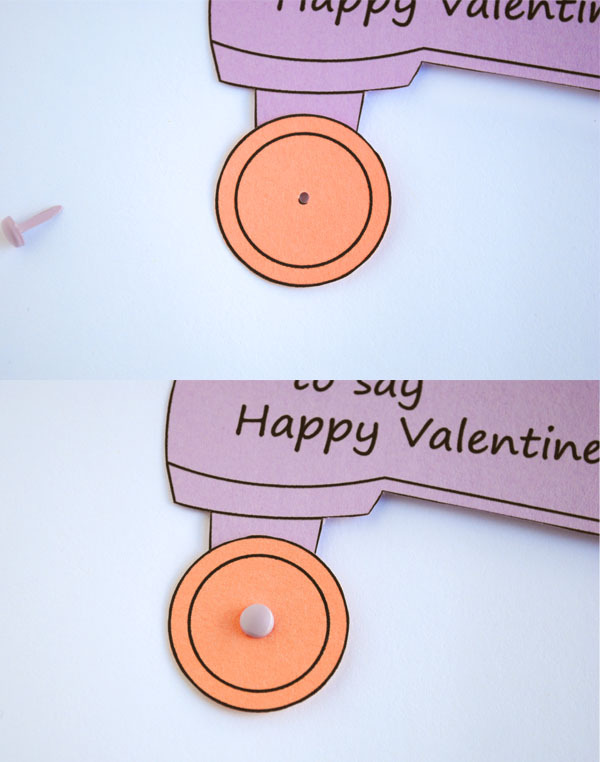 These are really cute and original! I love that daughter is into skating too :). Maybe she'll be a roller derby girl one day! Super cute! I'm behind on Valentine cards this year also... Sigh. Those are so cute, I used to love going roller skating when I was younger! Oh man, I know just the person to send one of those to. Thanks for the Valentine!